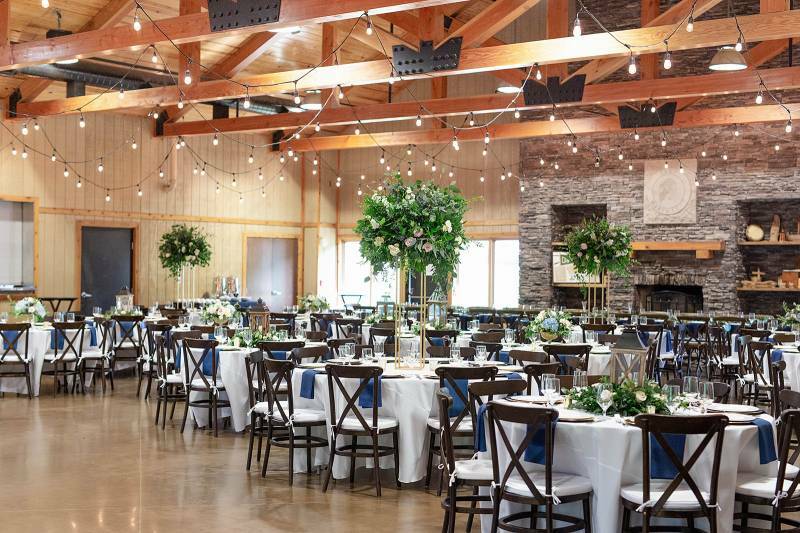 Getting married in a place with such meaning to the couple makes for an oh-so-beautiful wedding! 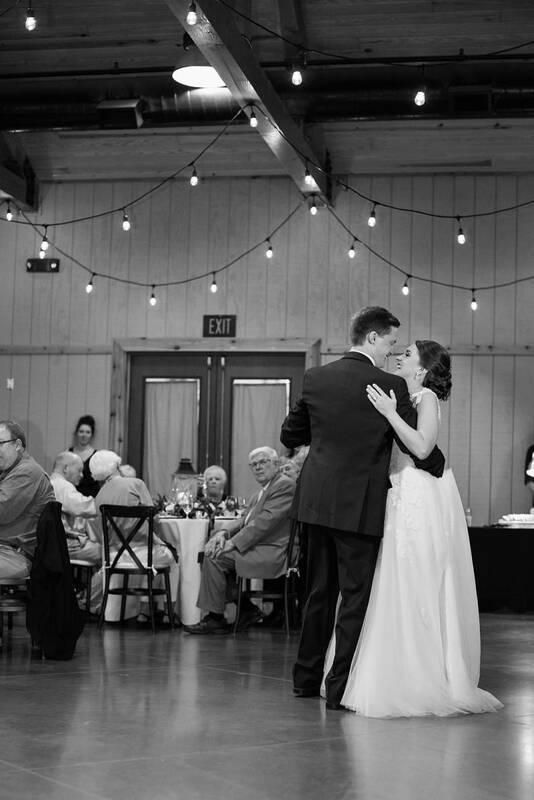 For Mary + Eric, that place was Camp Marymount! 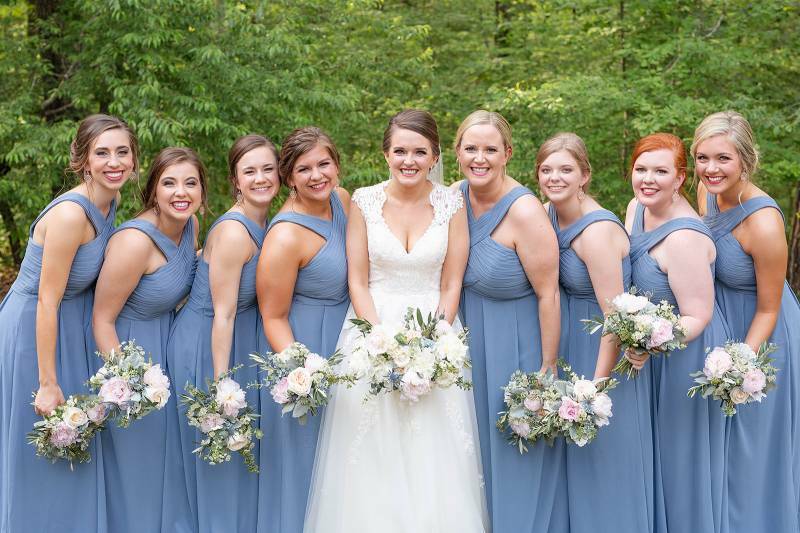 Their amazing camp wedding in Nashville was filled with elegance from the blue hues of the bridesmaid dresses to the natural greenery surrounding them. 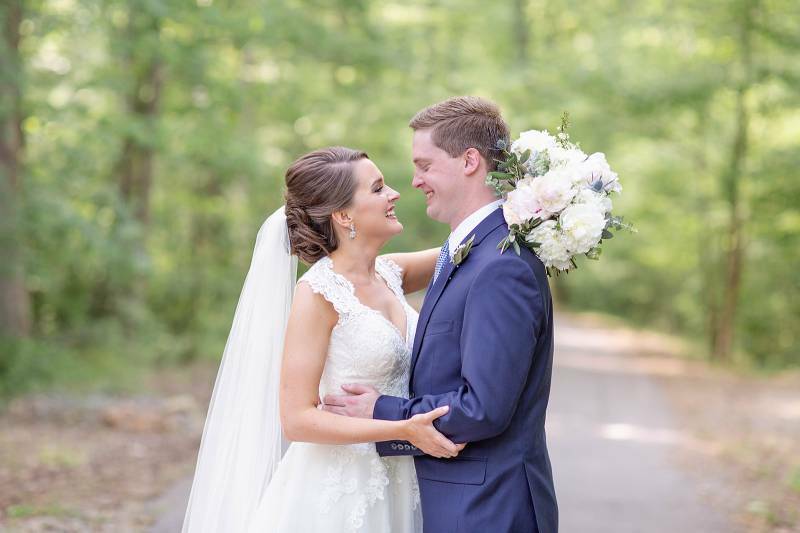 Ashley of Chancey Charm created a beautiful scene and gave the couple the wedding of their dreams! 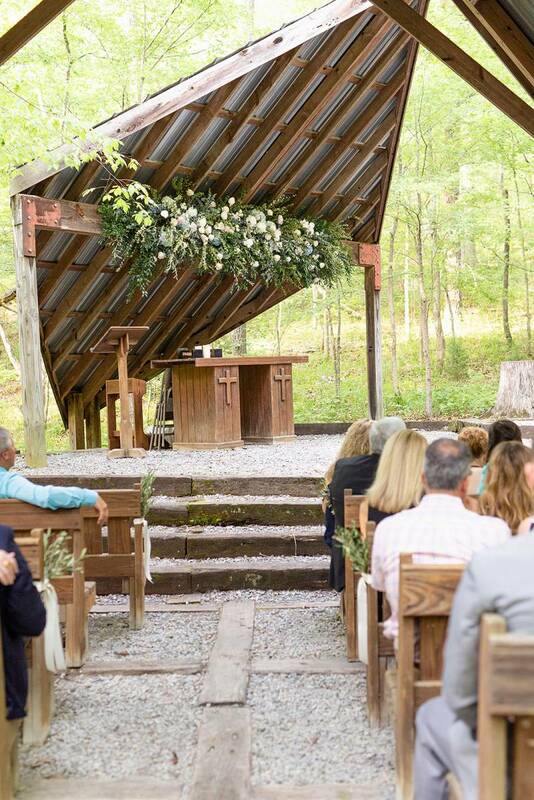 Plus, the modern meets rustic outdoor ceremony chapel was the perfect place to say "I Do" on a May day. 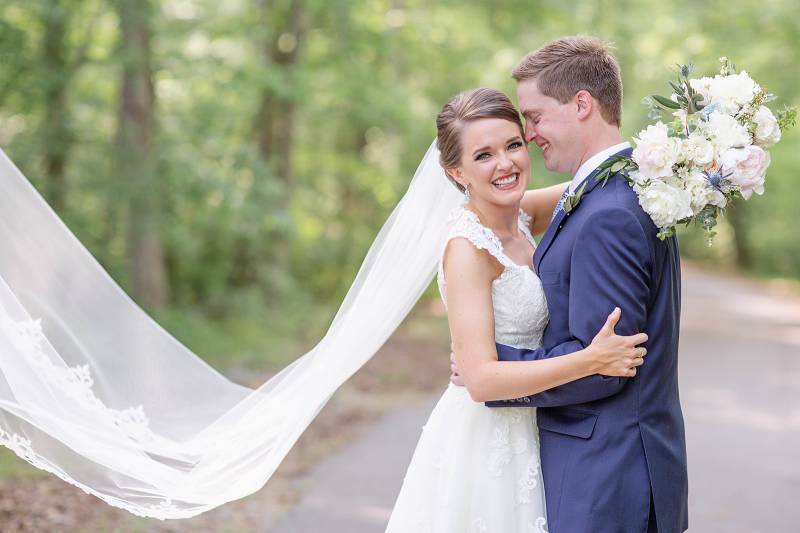 See all of Lindsey Fisher's photos below along with Mary + Eric's story! 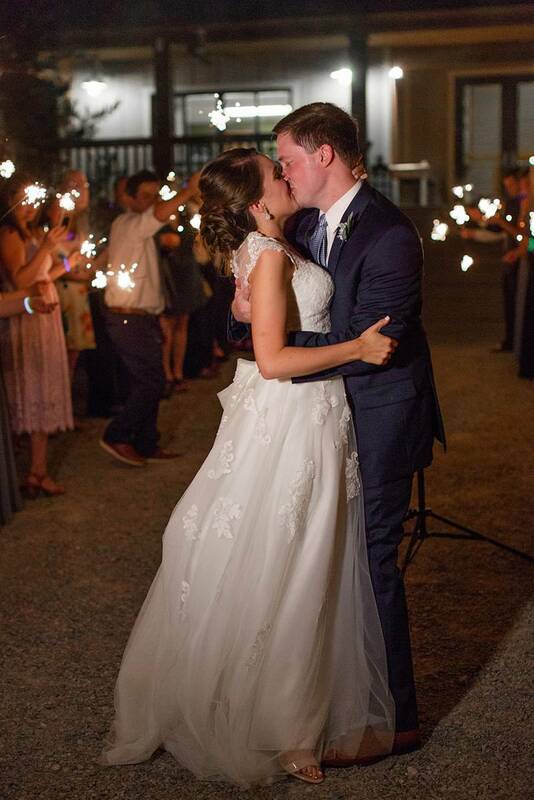 Tell us all about your wedding + vision! 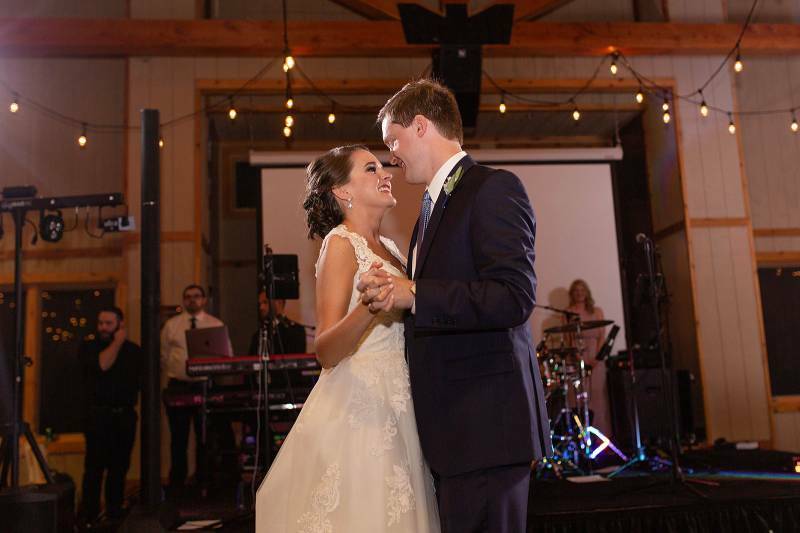 Mary: It was a childhood dream come true to get married at Camp Marymount. I spent 15 summers of my life at Camp Marymount & always hoped & dreamed I would meet a man that would marry me at camp! 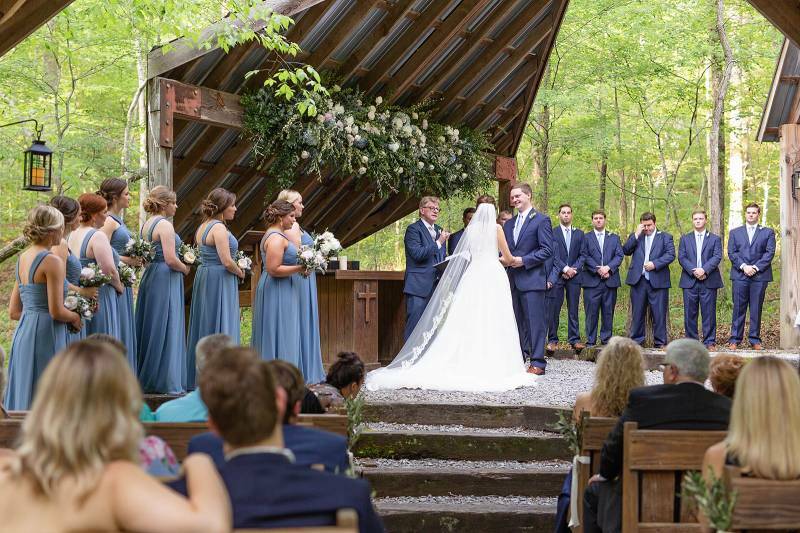 I envisioned a short destination (from Memphis & Little Rock), small, romantic, rustic & relaxed wedding surrounded by the most beautiful place in the world - the outdoor chapel at Marymount. 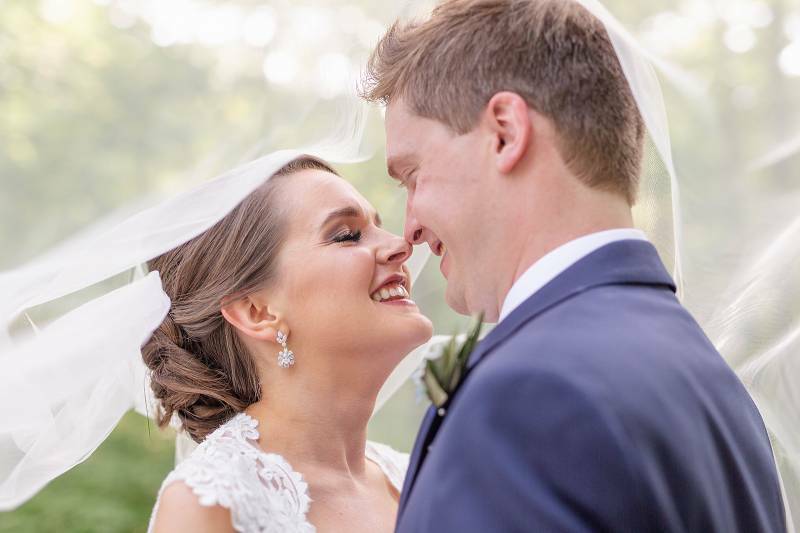 Surrounded by greenery, with a bridge running over a creek, the noises of nature, & all of my favorite people Marymount was the absolute PERFECT venue for my dream wedding. The overall atmosphere is breathtaking & hard to explain to those who have never spent time at the outdoor chapel. 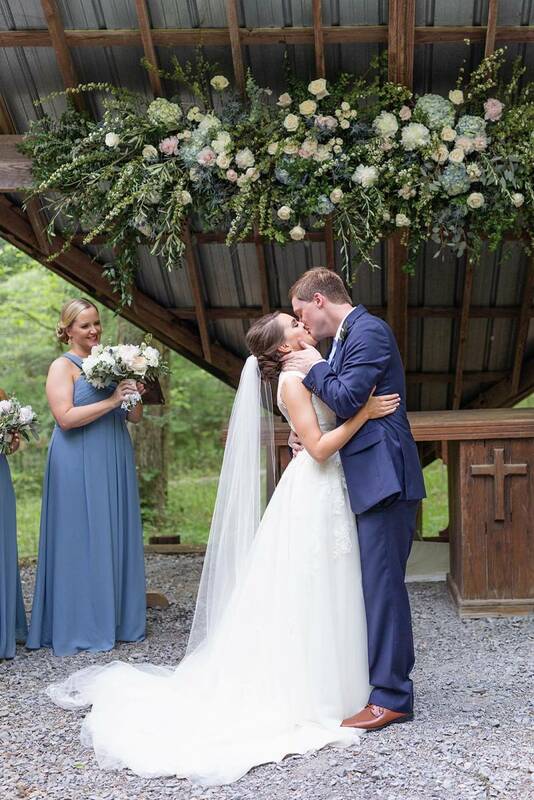 The greenery in combination with my favorite shades of blue & white made for the most perfect rustic, yet beautiful style I dreamed of for my wedding. 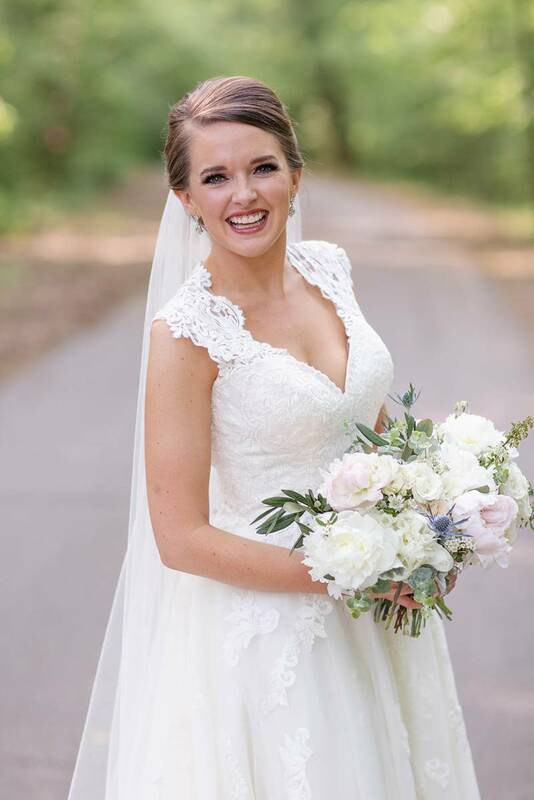 Mary: Planning a wedding can be stressful at times but we tried our best to enjoy the process & plan a day that would be a dream come true for both of us! We chose to splurge on the important things - food & a great bar!! 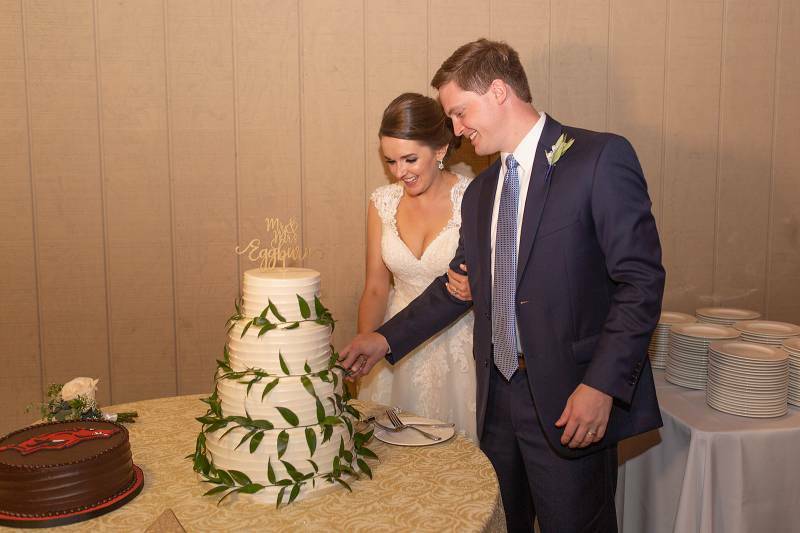 We had an amazing wedding planner who helped us to find great deals on amazing vendors & keep us (almost) on track with out budget! :) Once the deposits were paid & reservations made, we tried not to cut corners or skip too many aspects of what our dream wedding entailed - after all, you only get married once! Mary: It all goes by so fast!! 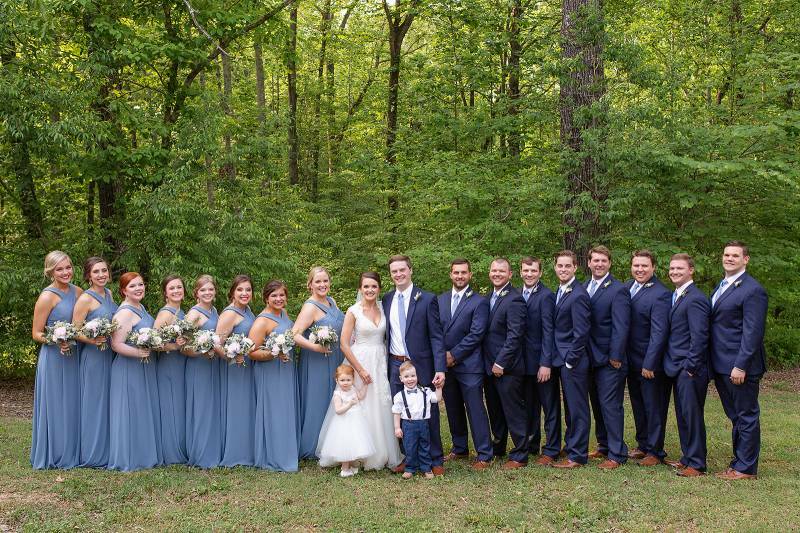 I absolutely enjoyed every aspect of our wedding & it meant the absolute world to me to have all of my favorite people in my absolute favorite place of all time. It was a dream come true. Also, even after I spent 15 summers at Marymount I don't think my parents ever truly understood how the Marymount Spirit could calm & comfort me like no other place --- until the morning of my wedding when my dad spent time alone cleaning the outdoor chapel before the ceremony & finally admitted that he understood how this place could mean so much to me. He explained how peaceful & beautiful the chapel is when all you can hear is nature & it allows you to forget about the chaos of the outside world. Mary: Try to enjoy the process of planning! 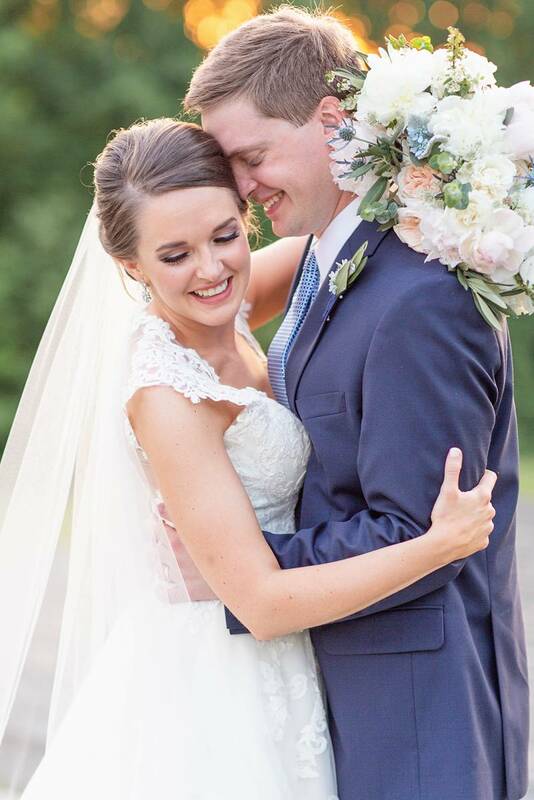 The wedding itself goes by WAY too fast!!! Soak it up & invest in a great photographer/videographer so you can re-live it for years to come! 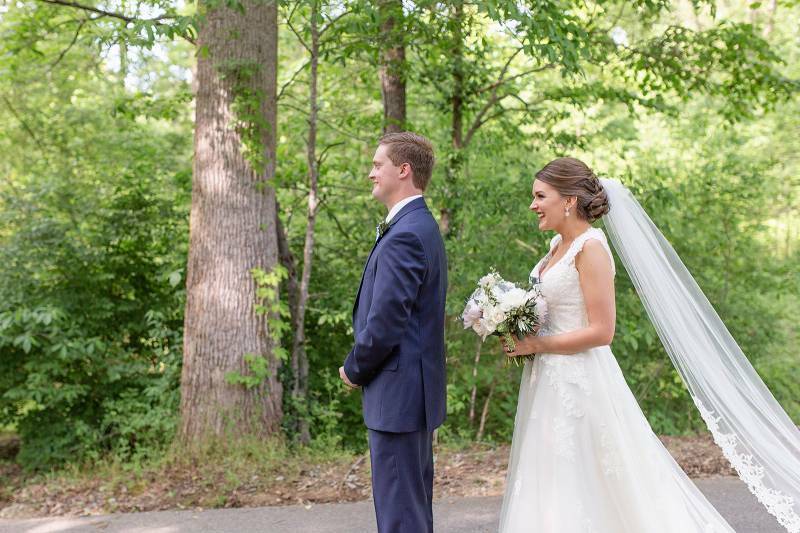 Take the time to pick vendors who care about you as a couple - we HIGHLY recommend Unforgettable Ceremonies Reverend Stephen Seymour - he truly cares about each & every couple & his ceremonies are absolutely beautiful!! Last but not least, invest in a great wedding planner - you won't regret it - Ashley with Chancey Charm is wonderful!! Oh what a day! 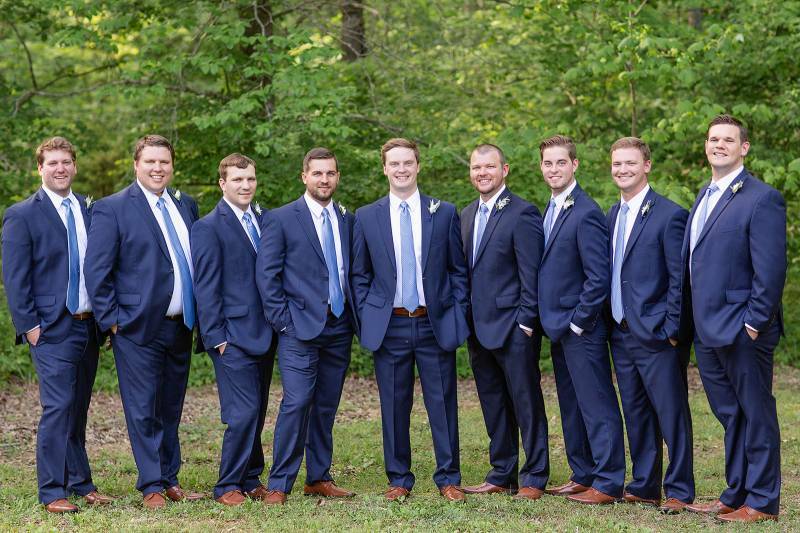 Thank you for sharing all of this amazing camp wedding in Nashville with us, Chancey Charm! You can check out more on Ashley of Chancey Charm HERE. And also follow them over on Instagram!